Happy Humpday! I am definitely already dreaming about the weekend. Which also leaves me dreaming about my next weekend getaway! A few weeks ago I headed up to St. Augustine for the day for my job and my few hours there definitely has me itching to go back. 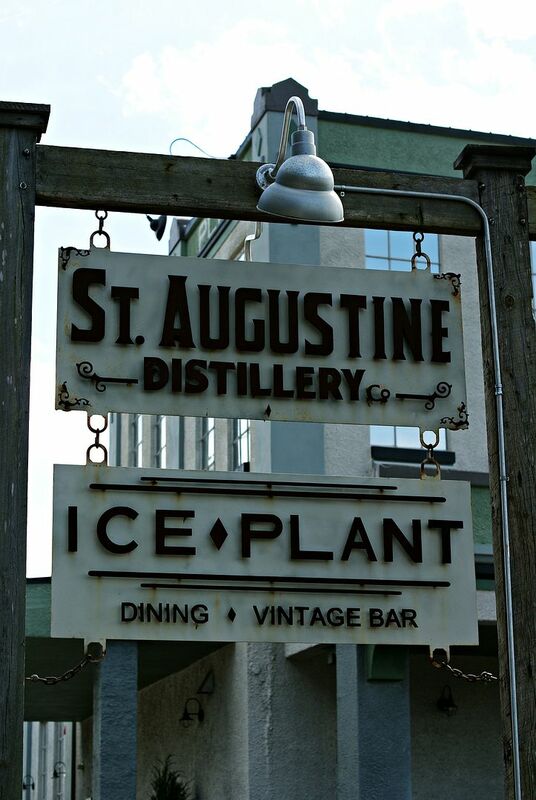 One of the places I definitely want to go back and enjoy a little more is the St. Augustine Distillery and Ice Plant Bar. 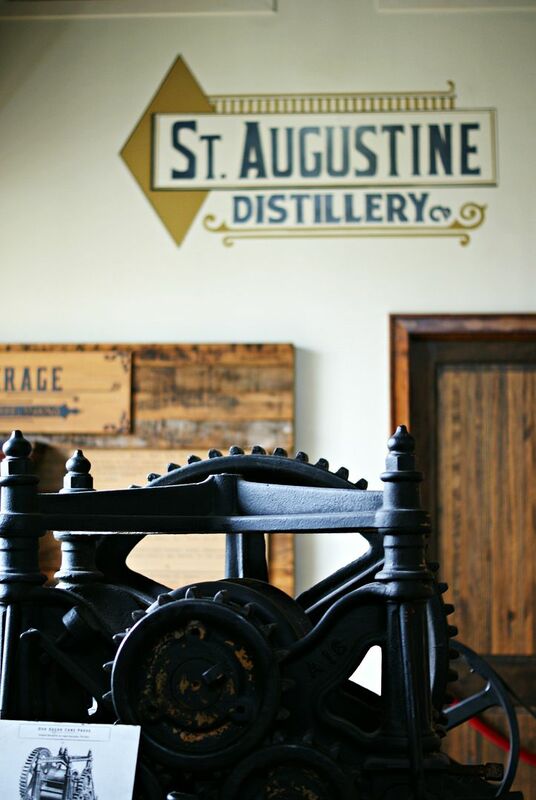 The St. Augustine Distillery is located inside a historic ice plant in St. Augustine located just down the street from the San Sebastian Winery and within walking distance of "downtown" St. Augustine. 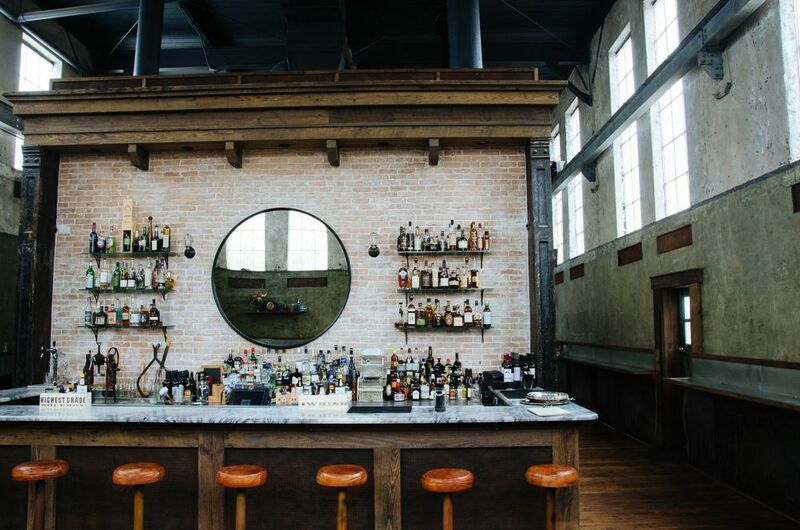 While the distillery is brand new, the building it's in was built over 100 years ago so not only do you get to check out some amazing craft spirits and cocktails but you also get to enjoy the beauty and the history of the building. Tours last about 30 minutes and are free so it's a great way to beat the heat for a bit and get a taste of the local flavor. 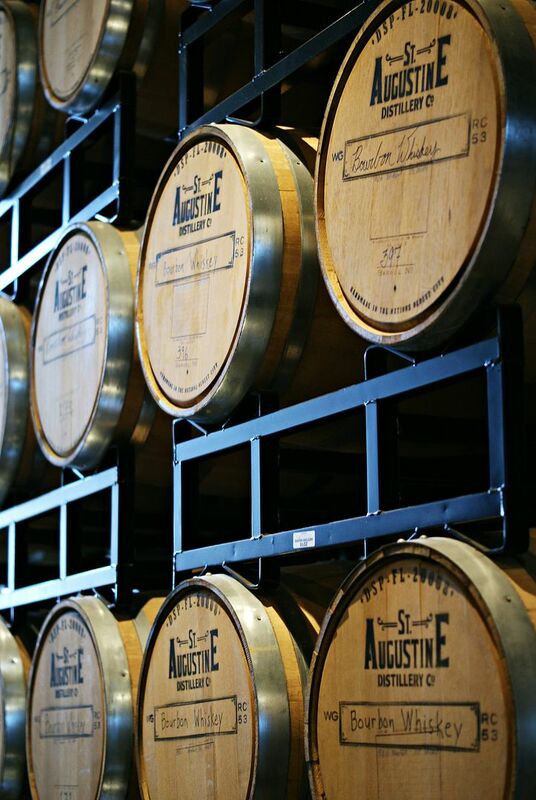 Everything distilled at St. Augustine Distillery is 100% Florida local which is part of what I love about them so much. It's really a great way to learn about and watch how they mix, mash, cook and distill small batch vodka, rum, gin and whiskey. Once you're done with the tour and samples but not quite ready to venture out into the heat again, head up stairs and check out Ice Plant for a quick (and delicious) bite to eat or some super yummy craft cocktail in one of the cutest spaces I've ever seen! 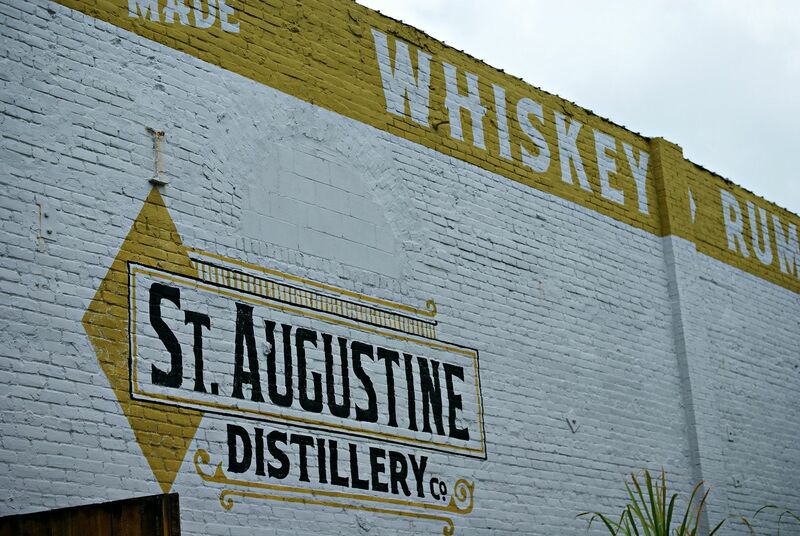 Moral of the story, if you're looking for something to do and looking to try some delicious award winning spirits you should definitely check out St. Augustine Distillery! So fun! I love seeing how things work in distilleries..so full of chemistry ;) We went to a rum distillery in New Orleans and it was so interesting!!! What a cool spot! On our wine tour one of the wineries was a distillery in the other half and it was so cool to see it all. I love how everything is out in the open for people to see! Looks like such a fun place! I've been on wine and beer tours, but never a distillery like this! What a fun (and tasty) way to spend an afternoon! This place looks like such a fun time! i love Ice Plant! So fun. I haven't done the tour yet so it's on my list! St Aug is just one of my fav towns to visit - love the history there! i grew up a couple hours north of there, so i have fond memories of visiting there. but i've not gone as an adult!! so this gives me a definite reason to go back and make a trip of it! This is my kind of place to visit! & that bar in the last picture? LOVE. Ice Bar is my favvvvvvv it's so freaking cool! Love the cool vintage vibe! Ugh I need a trip to St Aug asap! What a cool place! We always love visiting a distillery and/or winery/brewery when in new places! St. Augustine is on our smaller town travel list so I'll keep this in mind! I've been to St. Augustine once and I loved it. Sure, I was only 10, but O can't imagine how much fun it would be now, especially if you add a distillery to the travel plans. It's definitely going to my must do list. How fun!! Tyler and I love going to places like this when we are on vacation! Not a beer girl, so a distillery tour is RIGHT up my alley. This is so fun and cute! My grandparents are in St. Augustine every winter for a few months, so I may have to go visit them and check this place out. What a cool looking place!!! I remember going to St. Augustine with my parents when I was either in middle school or younger. I would probably enjoy it a lot more now though haha. :-) Thanks for sharing and I hope that you are having a great day!! 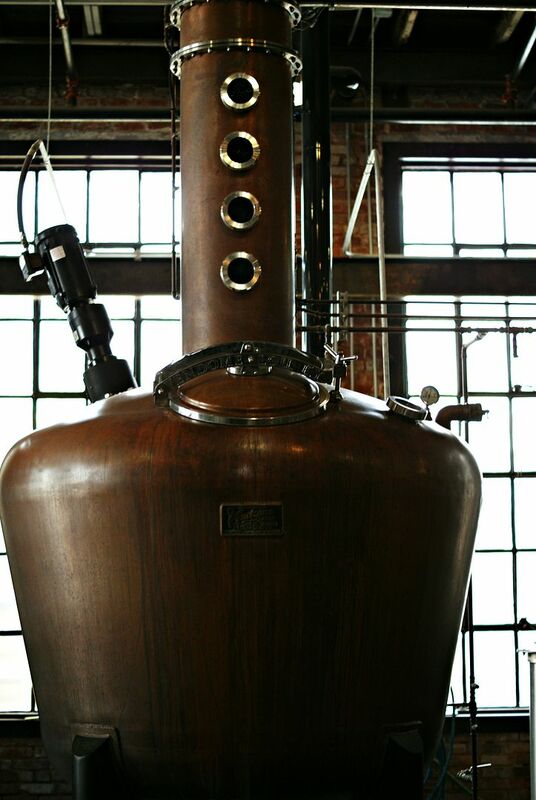 This looks like such a cool distillery! 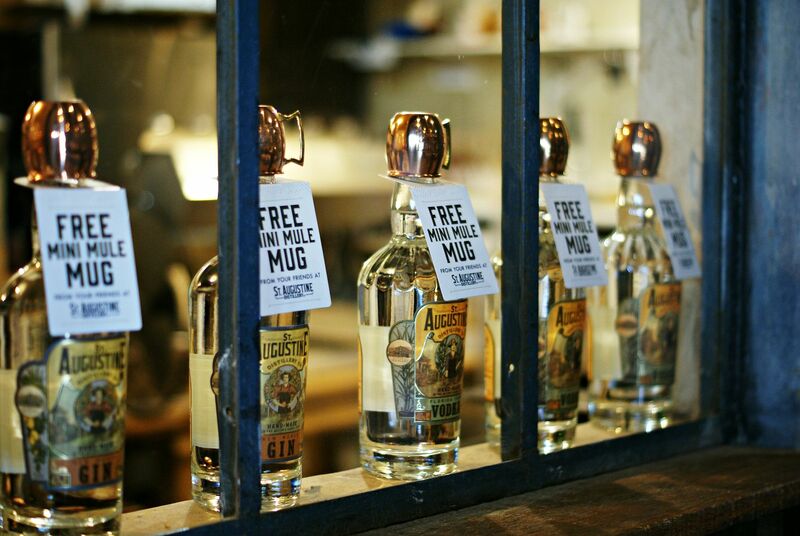 Those little mini mule mugs are adorable too. Definitely sounds like the perfect weekend getaway! I love going to distilleries! This one looks so cool! I love that they remodeled an old building. this really does look super fun. i love going to the distilleries and the like, even if i don't drink the particular drink, it's still fun to see how they are made, and how cool that everything distilled there is local. Pretty confident I start thinking about the next weekend every time Monday morning rolls around ;) Right there with you on this! This looks like such a cool place, I love all your photos! 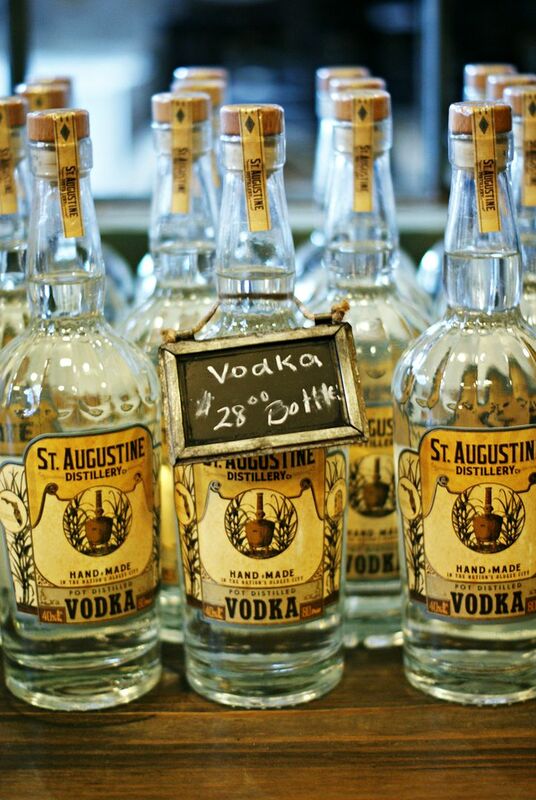 I LOVE the St. Augustine Distillery! What a cool place! And every alcohol they have is absolutely delicious. The Ice Plant is great too! How fun! I've never been to a distillery before, but I think I'd love it, so interesting to see the process! 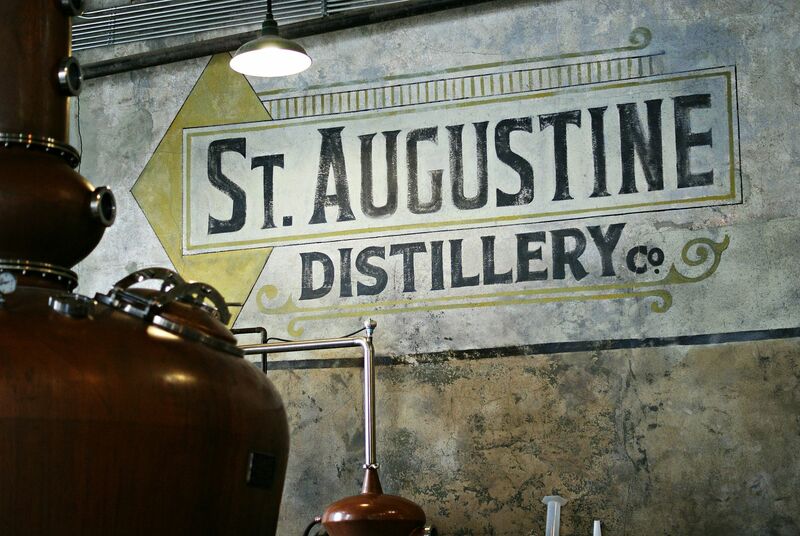 St. Augustine sounds like such a cool city and the distillery looks so cool- I love the look of the decor. 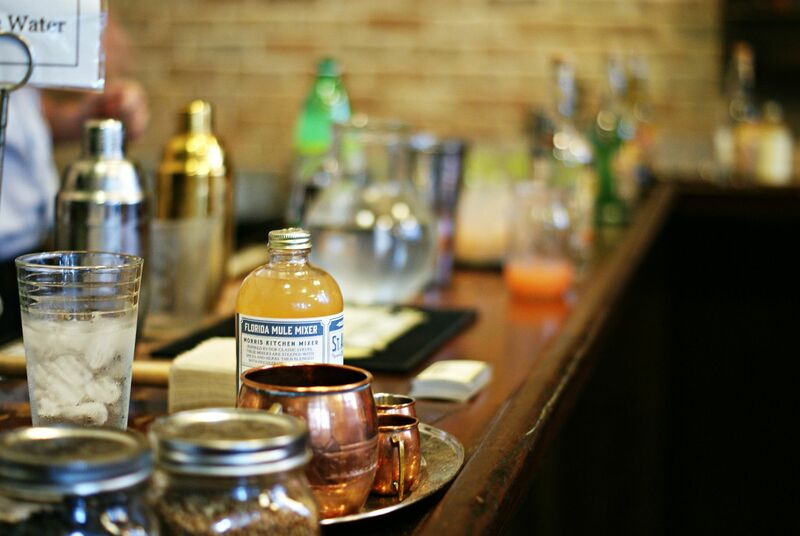 I love visiting distilleries (really any place that makes and sells alcohol), but that one looks like even more fun! That's so cool that it's in such a historic building and that everything is locally sourced!